Your clothing deserves the best—that’s why we only work with the best to ensure your laundry is cared for to the highest standard possible. Our team has a background in creating digital operations for the military, so to say we’re pretty particular about our process is an understatement. We work with each new vendor for weeks to ensure they meet all of our criteria (from washing and drying procedures to how they fold). We also always provide vendor partners with the care instructions entered by our customers so each item is cared for exactly to the owner’s specifications. Lastly, after each order we ask customers to rate the quality of the cleaning. We then pass this on to our vendor partners to highlight any areas of concern before they become problematic patterns. 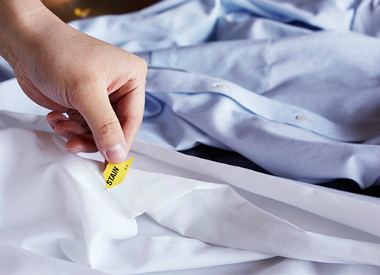 So if your party dress wasn’t cleaned perfectly this time—we’ll make sure it is next time. 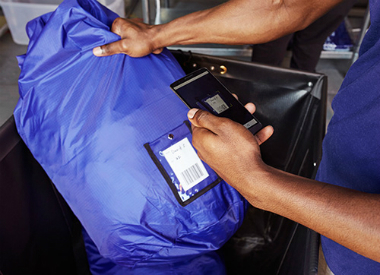 Items are collected by our Cleanly concierge, placed in custom bags and scanned using QR code technology. Items are brought to our Fulfillment Center where trained associates itemize, sort, and invoice them. Any special instructions are marked in our system for extra attention by our vendor partners. Cleanly's vendor partners collect and return all items to and from our Fulfillment Center for cleaning. 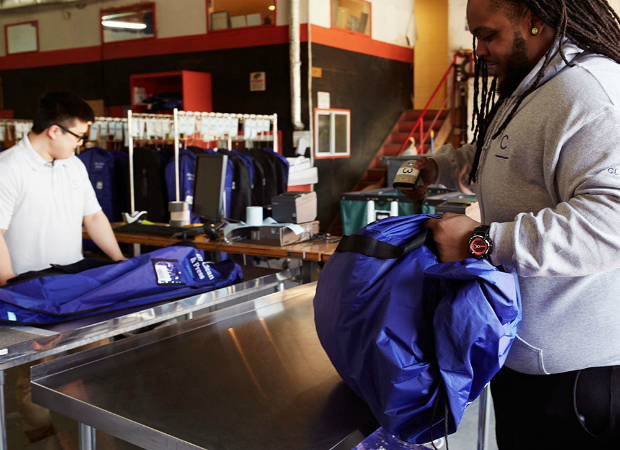 Cleanly concierge pick up the bags associated with their routes from the Fulfillment Center and deliver them back to the customer at the chosen time. 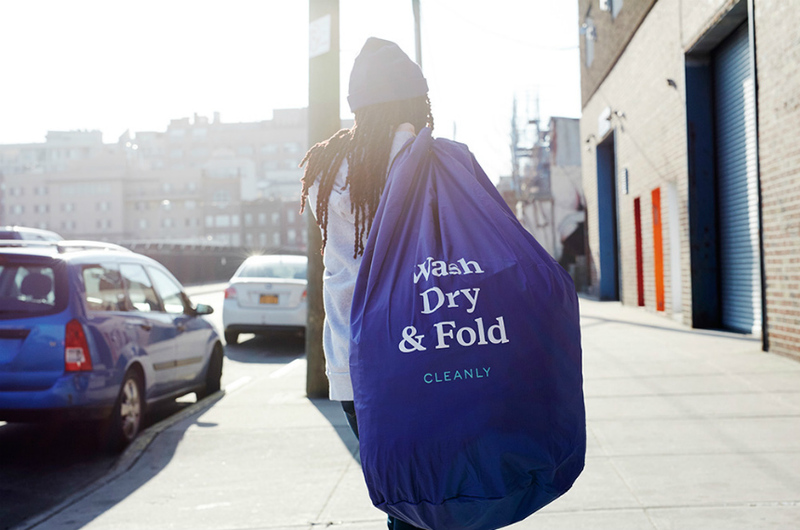 Our Fulfillment Center is dedicated to taking care of your laundry and dry-cleaning every step of the way—and never says no to an order. Here’s how. 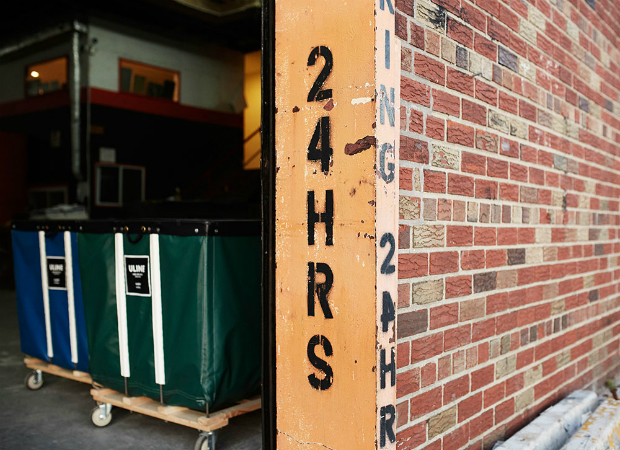 Our high-tech processing system offers order tracking for each step of the process to minimize the chance of lost items. We use easy to understand standardized notes so vendors know exactly how to clean each item to the customer’s preferences. We make sure to know the limits of each vendor so they don’t get overloaded, which reduces delayed orders.